The 2014 BMW M235i. Photo by Automotive Rhythms. 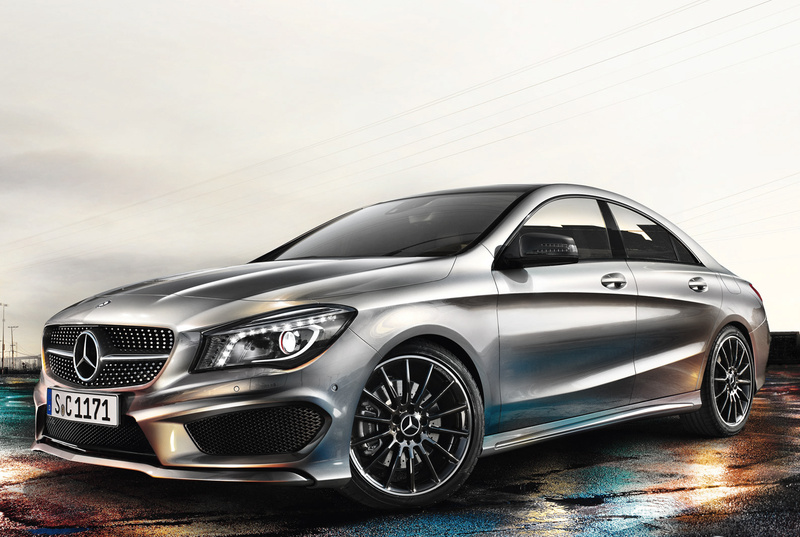 The 2014 Mercedes-Benz CLA 45 AMG. There was a time, not so long ago, that the term “sport compact” caused enthusiasts to think almost exclusively about the kind of cars from The Fast and the Furious franchise—the Honda Civic Coupe Si, Mitsubishi Lancer Evolution, and Toyota Celica, for example. But the sport compact segment has matured, grown more sophisticated, and become more technologically advanced as three examples from Germany clearly show. The smallest Audi to reach North American shores, the venerable A3, has been winning friends and influencing drivers for over a decade now. But for the first time ever, the highest-performing version, the S3, joins the fleet later this year. 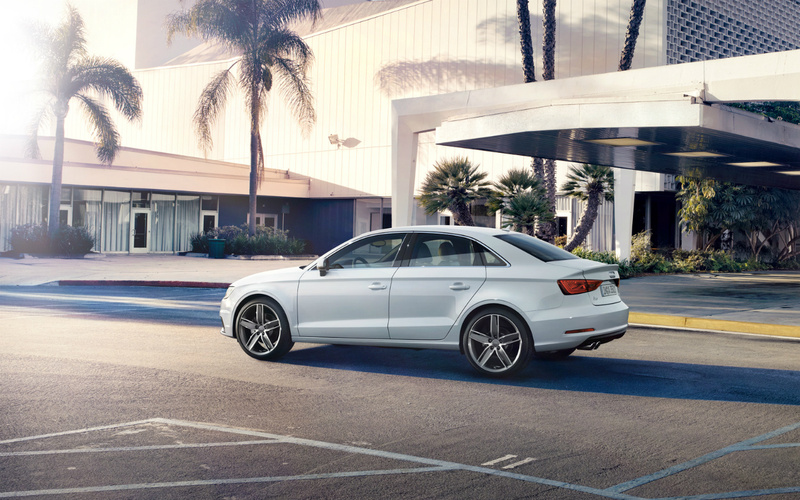 The 2015 Audi S3 features a turbocharged 2.0-litre four-cylinder engine that punches out 290 horsepower and 280 lb-ft of torque. Combined with a relatively light curb weight (1,565 kilograms), these figures make the S3 comparable in terms of size and performance to the Audi S4 of the early-2000s, which at the time was one of their most desirable cars. Like its predecessor, the Audi S3 features all-wheel drive and the version tested had a six-speed manual transmission. All models headed to Canada will be fitted with Audi’s redoubtable six-speed dual-clutch automatic, but there’s no reason for concern as the paddle shifters ensure there’s no drop-off in terms of performance or fun. In fact, the little sedan is expected to sprint to 100 km/h from a standing start in 4.9 seconds. The strength of the Audi isn’t straight-line speed, though; rather, it’s the ability to carve corners with remarkable ease and maintain a very high level of control at the same time. A stylish new addition to the entry-luxury segment, the Audi S3 is an absolute head-turner. 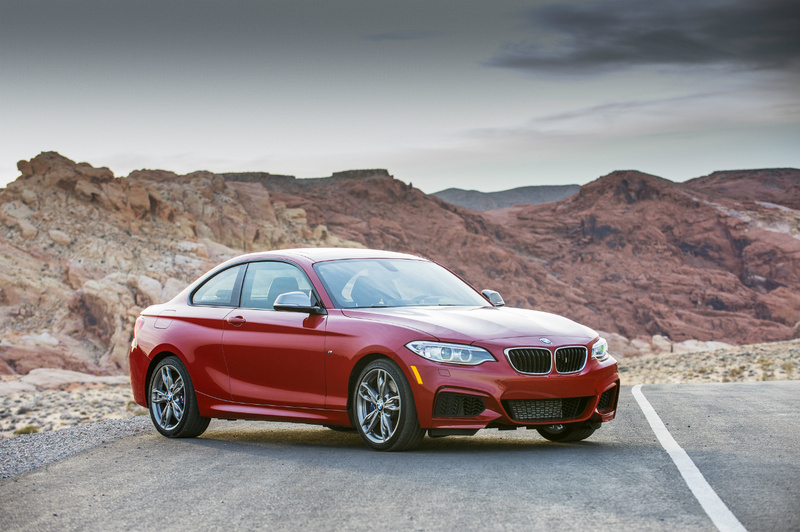 Like the limited-edition BMW 1-series M Coupe of a few years back, the 2014 BMW M235i is powered by a 3.0-litre, turbocharged, inline six-cylinder engine. The torque figure for the two engines is precisely the same: 332 lb-ft. And while the horsepower in the M235i is down by a few markers—from 340 to 320—the M235i weighs less than the 1M, by 40 kilograms. The leap from 0-100 km/h takes roughly five seconds flat, not quite as quick as the 1M, but still quick. The car’s acceleration plateaus fairly early, making it a good candidate for about-town driving. As with the 1M, this car is all about handling over speed. The coupe hugs the roads well, thanks to its variable suspension system with electronically controlled dampers that respond to cornering forces. Its electronic locking rear differential keeps the rear wheels churning while the steering is hefty and connected, as all proper BMWs should be. The six-speed manual transmission is standard, and, like all new BMWs, the M235i also features selectable driving modes—four in this case, running the gamut from mild to downright raucous. The little BMW is whisper quiet in Eco Pro mode. With the fan and audio system turned off, the loudest sound will be the tires skimming the road’s surface. In Sport Plus mode, the exhaust note deepens and the time for silent reflection is over. The littlest AMG currently available in North America, the 2014 Mercedes-Benz CLA 45 AMG features a twin-scroll turbocharged 2.0-litre engine that is the most powerful production four-cylinder on the market. With 355 horsepower and 332 lb-ft of torque on tap, this Mercedes-Benz is a very serious performer with an estimated 0-100 km/h time of just 4.6 seconds. But the performance credentials of the CLA 45 AMG don’t stop there. The compact sedan also features a seven-speed dual-clutch transmission, 4Matic permanent all-wheel drive, and a sports exhaust system. The transmission has three different modes—comfort, sport, and manual—as well as launch control and double declutching functions. There are three settings for the traction control system: on, sport, and off. The CLA 45 also comes equipped with AMG sports suspension and a braking system with cross-drilled and vented discs on all four corners. On the open road, the CLA is a very bolted-down piece of kit. The ride is firm, the seats are very firm, and the handling is crisp, keeping its focus, above all, on performance.